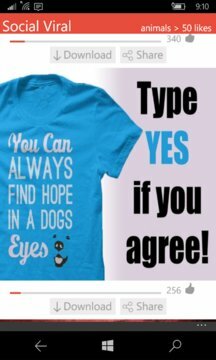 This app brings the most fresh popular & viral facebook photos in your smartphone. You can choose among 4 main categories such as Funny, Sports, Movies, Animals and download or share to you personal social media account any of these photos. 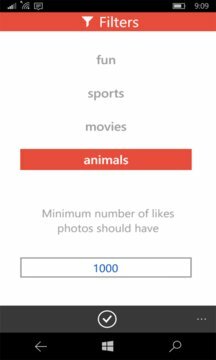 you can filter the popularity of photos by setting the count of likes any photo has. enjoy the app and have fun !